We offer Adult Ballet and Adult Tap. What are the class levels? Beginners Ballet is suitable for total newcomers to the discipline and those who who may have danced as a child, had long break and want to go over the basics. 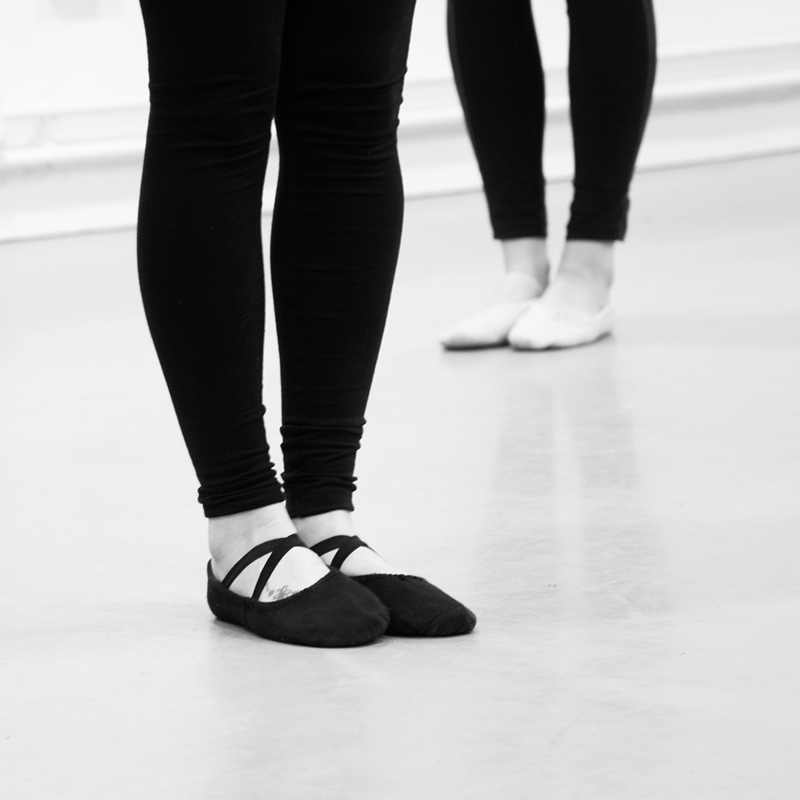 Improvers Ballet is suitable once you feel ready to be challenged more than you are in the beginner’s class or, you have over 3 years recent experience or have had a long break but are confident you can remember the basics. Improvers Tap is suitable if you have over 3 years recent experience or have had a long break but are confident you can remember the basics. Inter / Advanced Tap is suitable for those with lots of prior tapping experience, you should have a big tap vocabulary and be comfortable with all shuffle and pick up time steps at speed. The class is fast paced and routine based. Mondays are held in the Holland Studio at Blackpool Sixth (Blackpool Sixth Form College Blackpool Old Road, FY3 7LR) To access the studio turn into the college site from the main road and continue until you are at the back of the main set of buildings. Park in or near the loading bay and walk to your left. Holland Studio is past the bike shelter, next to the grass. Tuesdays are held in the studio at Play Football (The Studio, Play Football, Garstang Road West, Blackpool, FY3 7JH) Park in the main car park and enter the building by the main reception. Walk along the corridor on the left to the very end and up the stairs into the studio. Anything you are comfortable in. Most people wear leggings or joggers with t shirts / vests. For tap, tap shoes with heel and toe taps in any style. For ballet, socks or bare feet are fine to start with and full or split sole ballet shoes with elastics are great for after. The classes are for anyone 16yrs+ and have a variety of ages. No age is too old! I’m not very flexible or fit, will I be ok? Yes – however you may ache a little at the beginning if your body has not been used to dance. As with anything, with practice and time you will find things easier and will notice improvements in both stamina and flexibility (the latter mostly in ballet). Ballet is £6. Tap is £5. You can pay weekly whilst new (please bring correct change) however from the start of the next half term you will be invoiced in half term blocks. Yes. Please send an email so that we can make sure you are booked in for the correct class and so that our teacher knows to expect you. You will be given a registration form and other information at your first lesson.